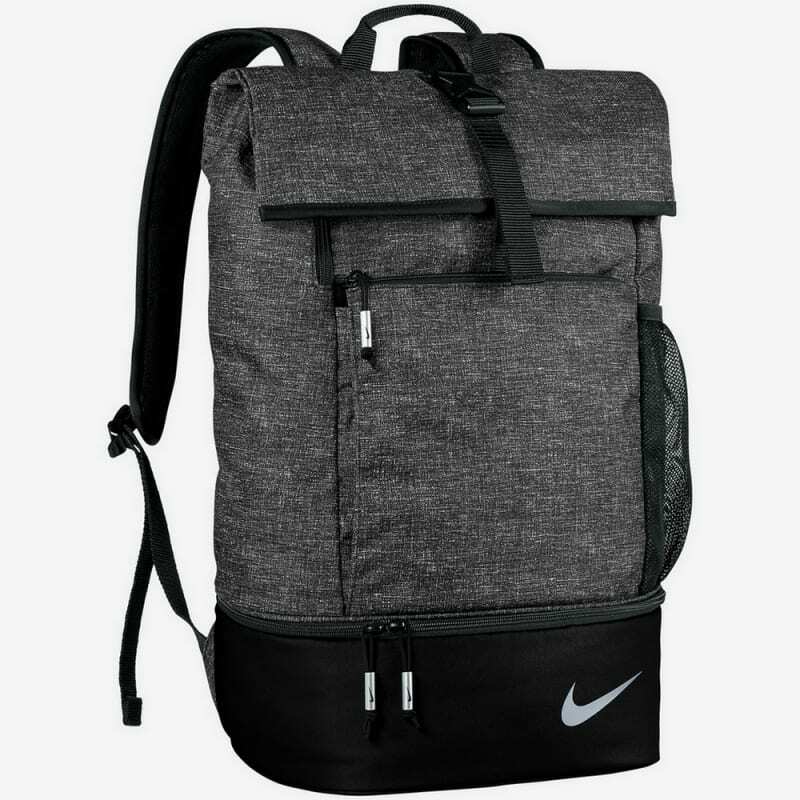 Durable polyester construction for lasting use. 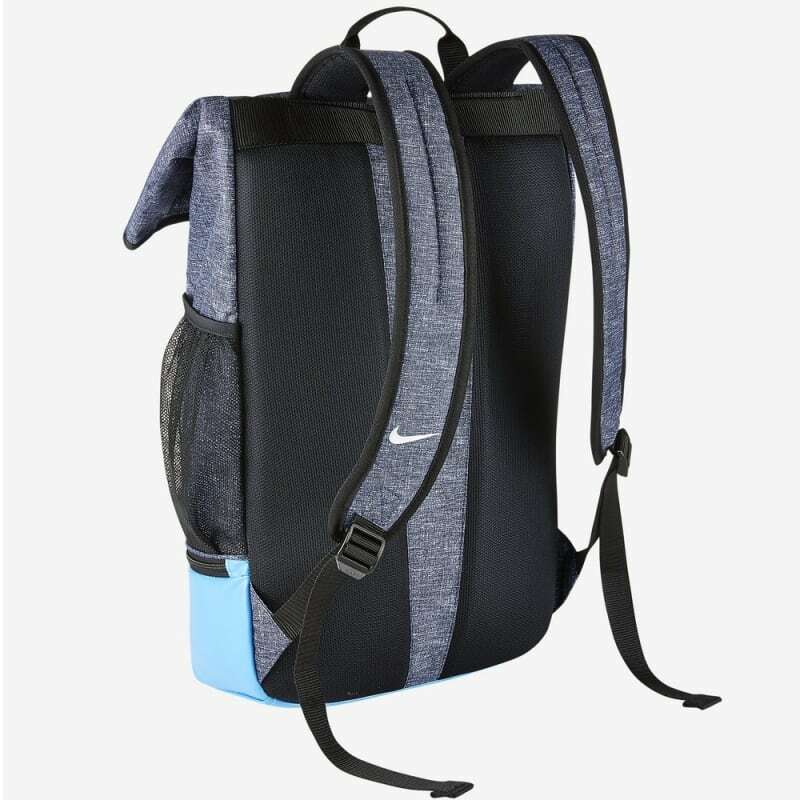 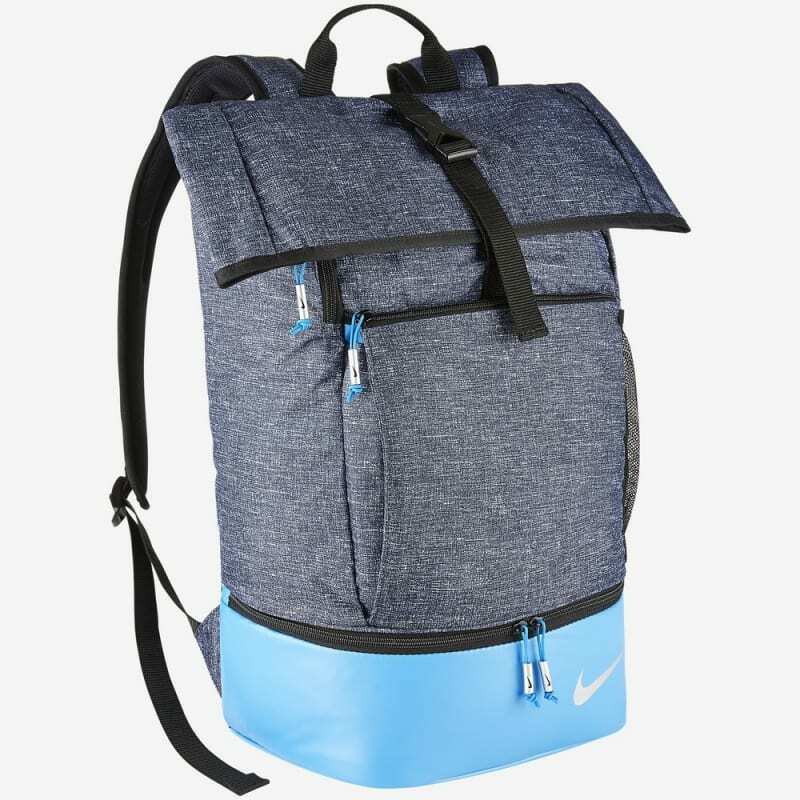 The Nike Sport Backpack features a fold-over top with buckle closure and multiple accessory pockets to keep your gear secure and organized when you're on the move. 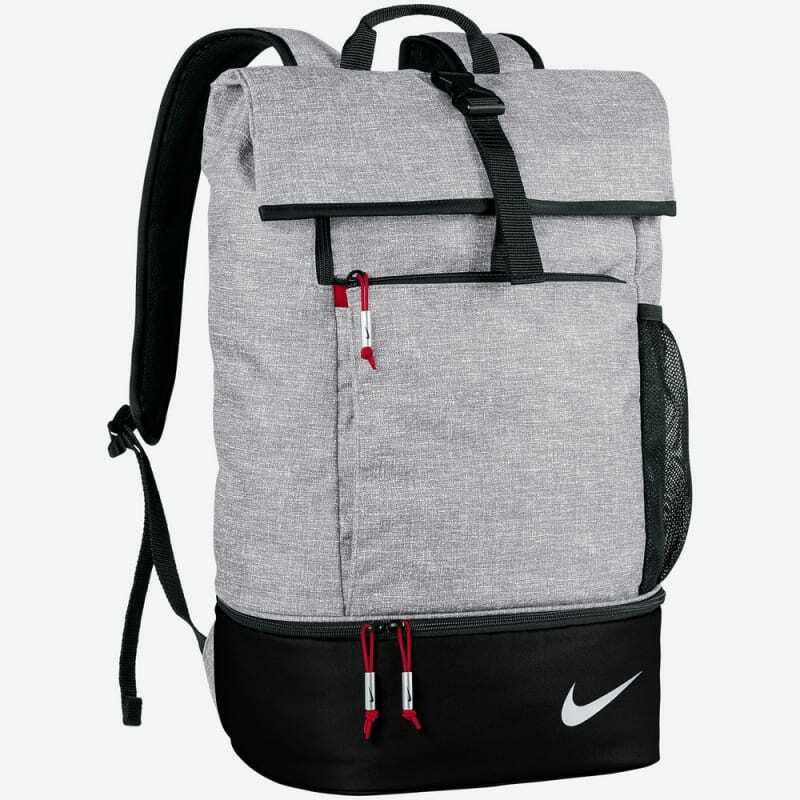 A zip shoe compartment stores your footwear separate from your other items.